Just when you thought you’d experienced it all, the train will begin its descent into the canyon at Mile 102 and as the rail line hugs the top of the canyon wall you will travel down 500 feet over the next 10 miles to the floor of the Agawa Canyon, created over 1.2 billion years ago by faulting and widened and reshaped by the last ice-age that retreated 10,000 years ago. As the train pulls to a stop at Mile 114, you’ll have an hour and a half to experience the pristine beauty of Canyon Park up close. The whole family can enjoy scenic walks on gravelled trails leading to several waterfalls or experience an invigorating climb up over 300 stairs to the breathtaking Lookout, perched 250 feet above the canyon floor. 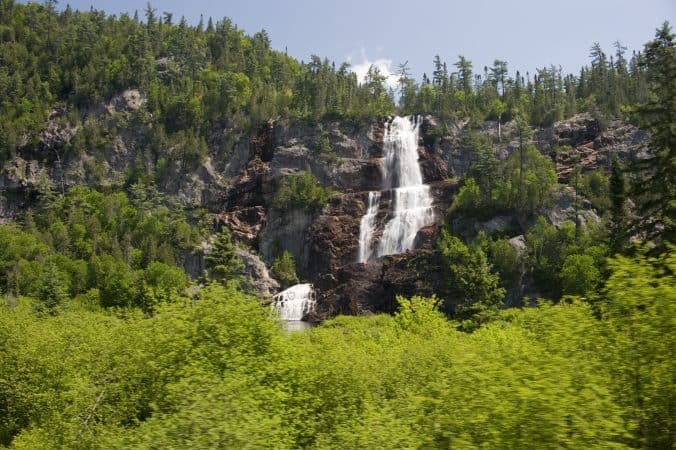 For those who are looking for something a little more relaxing, enjoy a peaceful lunch in the many picnic areas throughout the park or just pull up a bench and watch the Agawa River flow peacefully by. 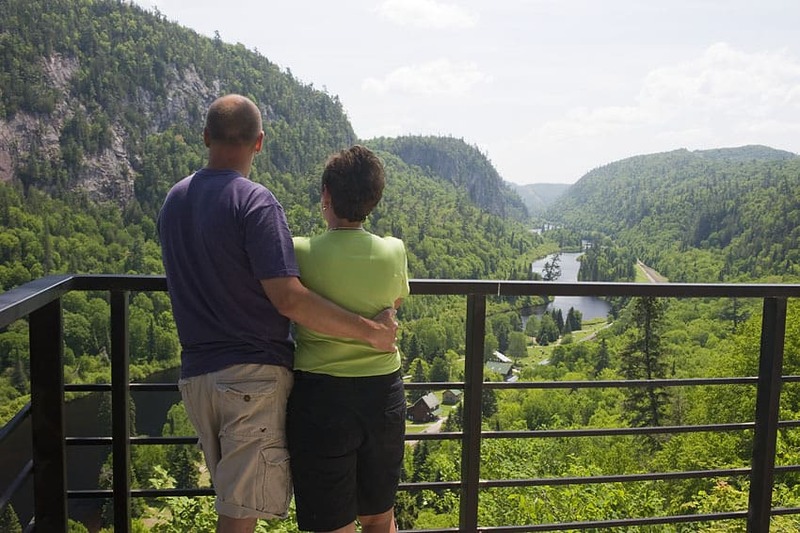 Algoma Country is ablaze with colour during autumn and for decades the Canyon Tour has been a favourite way for fall ‘leaf peepers’ to experience some of the most spectacular fall colour in North America. Though peak colour varies each season, typically the last two weeks of September and the first week of October can offer the best colour and should be considered when planning your excursion. 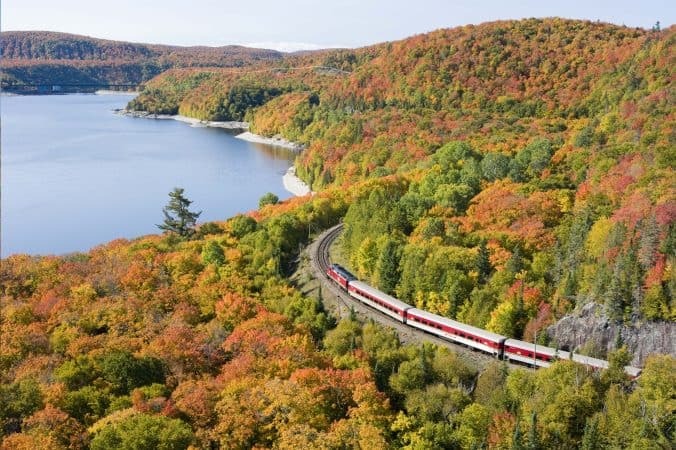 Please note that, due to popularity, the Railway recommends making your ‘fall colour’ booking early. 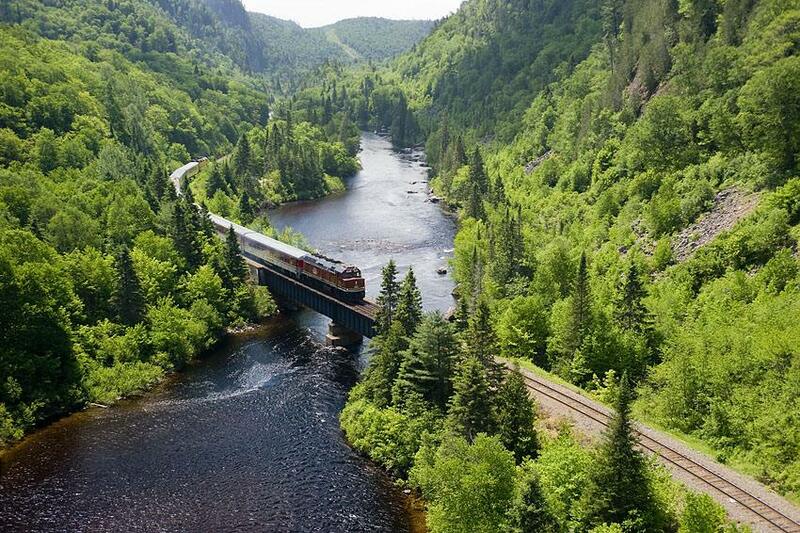 Please note: The Agawa Tour Train is a smoke-free environment.